The Sani Pass is regarded by many as having one of the most spectacular views in South Africa and is an experience not to be missed. 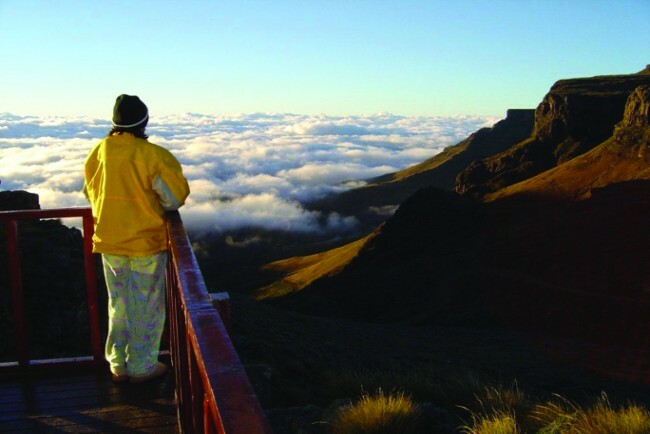 Our day tour through this World Heritage Site and into Lesotho is often regarded as the highlight of a visit to South Africa. Walls of sandstone, cascading rivers, hair-raising bends and a fascinating history are just some of the highlights as our 4x4 vehicle takes you through the Barrier of Spears and into the Kingdom of Lesotho. We visit a Basotho village and meet its people – a true cultural experience. Lunch is offered at the highest pub in Africa.